Guitar legend Eric Clapton has announced plans for his 21st studio album, and first since 2010′s Clapton. The musician’s own imprint Bushbranch Records (in association with SurfDog in the U.S. and Canada and Polydor internationally) will release Old Sock on March 12th. 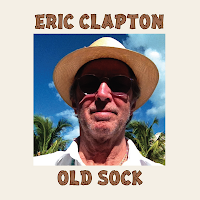 Clapton also culls from a wide range of styles here; from reggae (“Till Your Well Runs Dry” by Peter Tosh) to jazz standards (“All of Me”), to blues (Lead Belly’s “Goodnight Irene”). The full tracklist is available for your perusal just ahead. In support, the veteran will hit the road for an international tour, which kicks off March 14th in Phoenix, AZ and includes his annual two-day Crossroads Guitar Festival, featuring performers like Allman Brothers Band, B.B. King, Gary Clark Jr., Jeff Beck, and more. This year’s incarnation takes place April 12th-13th at Madison Square Garden in New York City.